The Eight Mountains - ubiq bookshop: the best place to buy books! Pietro, a lonely city boy, spends his childhood summers in a secluded valley in the Alps. Bruno, the cowherd son of a local stonemason, knows the mountains intimately. Together they spend many summers exploring the mountain's meadows and peaks, discovering the similarities and differences in their lives. As time passes, the two boys come to find the true meaning of friendship and camaraderie even as their paths diverge, Bruno's in the mountains and Pietro's in cities across the globe. 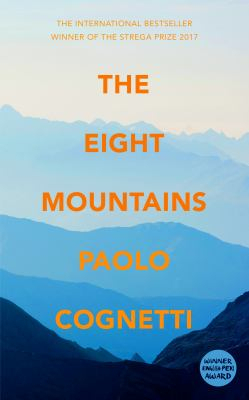 A modern Italian masterpiece, The Eight Mountains is a lyrical coming-of-age story spanning three decades; a novel about the power of male friendships and a meditation on loyalty, being in nature, and finding one's place in the world. Winner of the 2017 Strega Prize, the Strega Giovani Prize and the Prix Medicis etranger. Featured in the May 2018 Great Reads newsletter.